For over 20 years, NIBS Group has been delivering the best service & support to the automotive industry. We continually endeavor to deliver unique, modern & innovative solutions beyond our members and clients expectations. We are passionate about paint distribution and the automotive industry and understand the everyday demands of our customers. We are trusted as many of our clients have been customers for years and become personal friends. Since its launch, NIBS Spectrum has been an overnight success. However, it is now set to get even better with this latest version which has loads of new innovative business solutions, improved functionality plus a brand brand new customer area called NGage. The latest business support initiatives are coupled together with a range of ground-breaking training solutions. In addition, the industry leading marketing section has been updated to include the very latest in visual communication, branding, and social media solutions. Viccari Wheele is a creative design consultancy catering for a wide variety of media such as web design, print design and photography. We are situated right on the South Coast of England in Brighton. 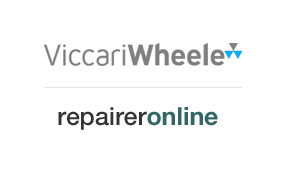 Repairer Online is our sister company which offers a full range web design services, and is the UK's leading design consultancy to the bodyshop industry. Every website we produce whether bespoke built or template built is uniquely branded to that bodyshop. 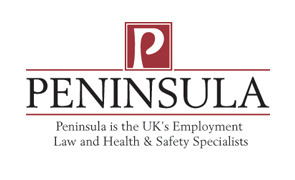 Peninsula offer the most comprehensive and far reaching employment law and health and safety support service in the UK supporting 26,000 businesses - 7 out of every 10 of which came to Peninsula as a direct result of a recommendation. Waregrain clients receive a dedicated contact in Nick Babington who is readily available for free help and advice at anytime. Nick manages a wide cross section of clients, 27% of which are small businesses with five or less staff. Nick will ensure that protecting your business is Peninsula's business.